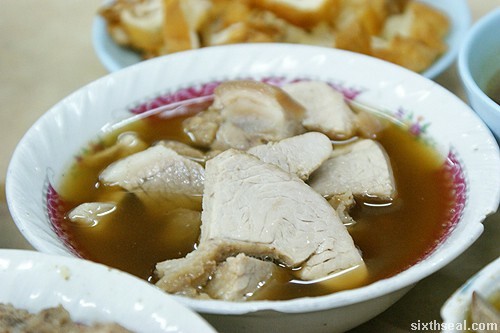 Yu Kee Bak Kut Teh is arguably the most famous BKT place in KK. 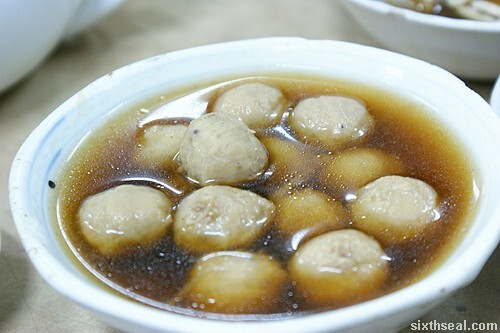 It’s located at Gaya Street. 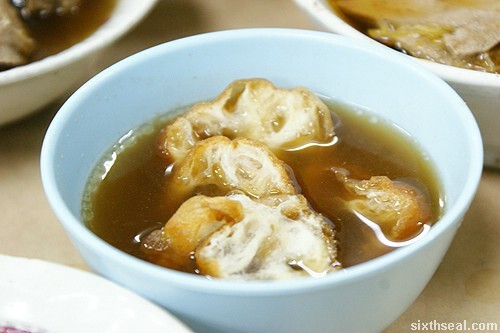 There are two BKT outlets there but the original is the best – you can see the difference with your naked eye, the locals flock to this place like bees to honey. 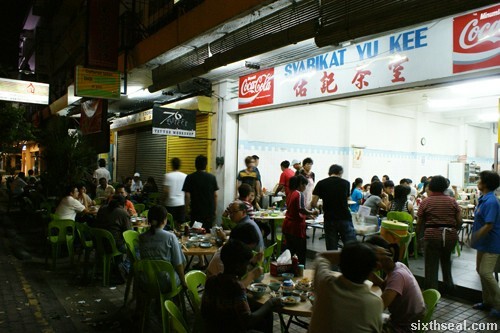 Yu Kee BKT is always packed while the other…well, it lacks in that department. 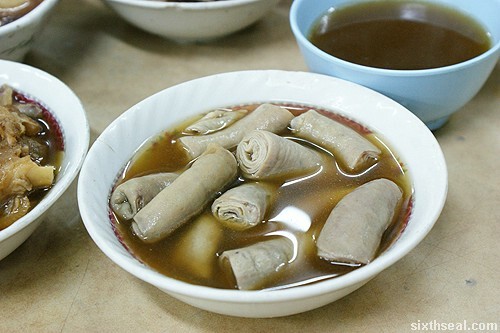 Jerine also mentioned that she can smell Yu Kee from meters away while the other stall is odorless. 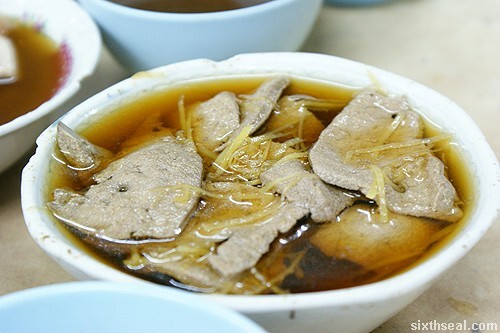 She means that in a good way of course, the distinctive aroma of herbs from well cooked BKT. 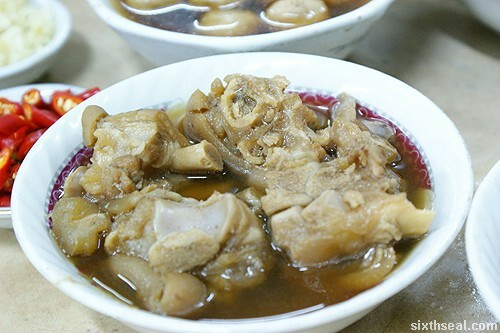 I like Yu Kee coz I went there to eat straight out of rehab…it was the best meal I ever had considering the crappy food they serve inside. 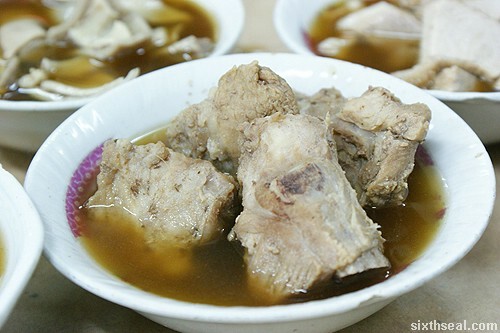 The difference between Kota Kinabalu Bak Kut Teh is that they serve you with small bowls of stuff instead of a huge melting (clay)pot. It was a pretty decent dinner but you want my honest opinion? 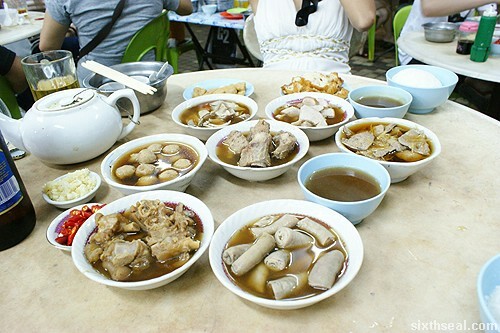 It is the best Bak Kut Teh in KK and I remember loving it the last time I had it. However, those were different times when even an extra piece of chicken was much appreciated. Now that I have life, liberty and the pursuit of happiness, it barely warrents a post. It cost RM 72 for our meal. 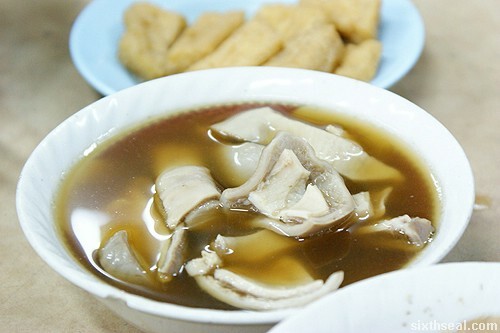 Do check out Yu Kee Bak Kut Teh if you’re in KK but for good ol’ BKT, go to Klang.